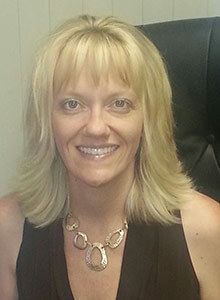 Dana Sacia’s career began with setting appointments for insurance agents at the age of 15. Every job there after always revolved around telemarketing and Recruiting. Dana’s experience has included successful sales and management positions where she achieved many awards, trips, and recognition including Employee of the Year. Dana is independent now and is well established. She has a team of elite recruiters and telemarketers with a proven track record. Dana gets to know her clients on a personal level and devotes herself and her team to getting the job done. Each client is important and valued the same as every other client. Dana’s philosophy at ARS is to have the highest integrity and respect for each client with the ability to help them achieve their goals without breaking their budget. At ARS, our employees are our best asset. By using our specialized team of experienced telemarketers and recruiters, we specialize in the Insurance and Financial Services industry. That does not hold us back from other industry assignments. ARS is able to provide our clients a wide variety of options. Additionally, by keeping our recruiters and telemarketers fresh and vibrant it allows us to successfully accomplish our goals for your business. We work flexible hours to ensure we are full of pride to represent your opportunity with the most enthusiasm and excitement as possible. By working flexible hours, it ensures our ability to provide fresh attitudes every day. We are committed to providing our clients with the highest level of individualized service. Our professional staff is comprised of professionalism and telemarketing experts who are continually redefining excellence. We are very talented and very capable of helping you succeed. Dana Sacia has two boys that are the love of her life. She was nick named Gabby since she was very little as her gift to gab has always been her calling. You can also find people calling her Happy or Bubbles for her bubbly personality. Dana is passionate about several things, her Faith, Family, Friends, and Business. She takes pride in being involved in a business that allows her to be part of helping change people’s lives for the better. There is nothing better than helping a candidate find a great home and helping a client succeed their recruiting goals. Dana enjoys spending time and creating new memories with her family. She loves to hunt in the fall and is always looking for the next Monster Buck. She has successfully harvested a 10, 11, and 13 point Whitetail, A beautiful 5 by 5 Mule deer in WY. Dana also experienced her first Rocky Mountain Bear hunt where she successfully tagged her first Cinnamon bear. She lives in a rural area that allows her to continue her passion for hunting. You can also find her shed hunting in the late winter and spring of the year. In 2015 she harvested her first elk. She quickly realized that her love for hunting had just been taken up a notch. If you enjoy hunting or fishing you should consider joining her Facebook Group called HUNTING4CONNECTIONS. Join the other 22,000 members that are all well like minded individuals sharing their passions. If you get to know Dana better you will learn that she is serious about delivering on any promise made to a client. She is passionate about building a long lasting relationship with them as she believes that if you do a great job for your clients they will want to come back and use you again down the road. Using that system ensures the client that you always have their best interest in mind. Dana’s love for her family and business is what drives her every day to motivate, and provides her the desire to inspire. Check out her page Daily Dose of Dana-Tip of the day where she shares small doses of inspiration. https://www.facebook.com/doseofdana/ If you have not seen her testimonials remember to check them out.